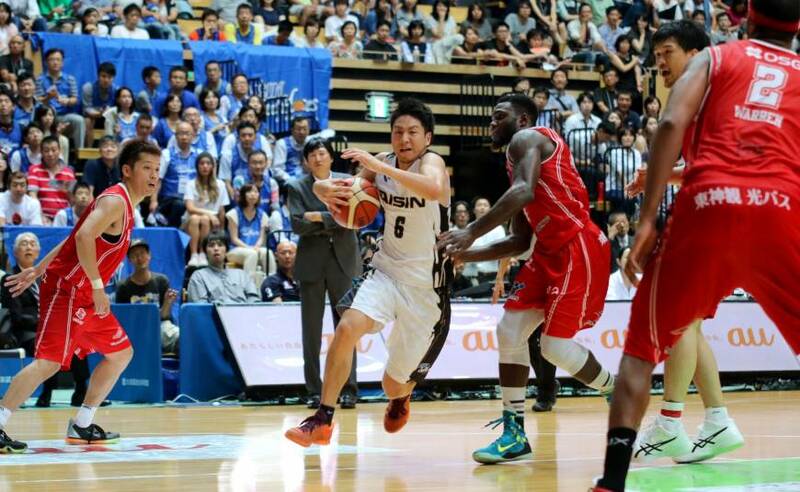 There is no one-size-fits-all formula — no magic pill exists — for the Japan Basketball Association to create a new men’s pro hoop circuit that will become an instant success. The sheer size of the B. League, the 45-team, three-division league is a real cause for concern. What the JBA, fueled by the Japan 2024 Task Force and rubber-stamped by FIBA, has created might look impressive on paper, but in reality the B. League, set to launch in the fall of 2016, is, until proven otherwise, a monstrosity. It’s too big for its own good. About half of the teams that are a part of the new entity will come from the old JBL-JBL2 structure (replaced by the NBL and NBDL), from which corporate-based clubs came and went at an alarming rate. 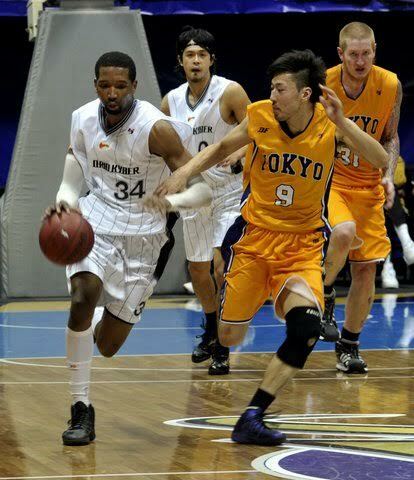 Two seasons ago, the Wakayama Trians were the NBL’s title-runnerup squad. And now they are out of business due to financial woes. So, for the massive new league, this needs to be addressed: Will there be a lucrative TV deal in place a year from now to prop up 45 teams, to keep their balance sheets in the black and not cause company management to sever ties with the league in the near future? Will there be enough cash infusion from fans and sponsors and/or local governments to keep all of these teams afloat? Bob Hill, a longtime NBA coach and former bench boss of the Apache, insists quality not quantity is what Japan basketball must pursue. “There are way too many teams to have a competitive league,” Hill told Hoop Scoop recently. An Asia-based basketball pundit, who requested anonymity, thinks the JBA is setting itself up for failure, citing the size of the B. League. “Forty-five (teams) is unrealistic,” the source told Hoop Scoop. “And so ultimately the task force was never really serious about reforming Japan basketball. If (South) Korea, where basketball is widely popular, only has 10 teams, and China, where everyone plays basketball, only has 20 in their top division, how can Japan, where basketball is a minor sport, support 45 teams? It can’t. “Real change might have been selecting 12 teams for the first division, 12 for the second. With the rest in the third and even fourth divisions. Several teams have been poorly managed for years — Saitama Broncos, Tokyo Cinq Reves, Oita/Ehime HeatDevils — and probably should be encouraged — forced? — to fold, and others — like many of the NBDL teams — have shown no real desire to compete at a higher level, and for them a ‘company team’ or ‘development league’ level is probably all they aspire to. A real concerns remains about the makeup of rosters — quality and depth are the keys — for the 18-team top division, 18-team second division and nine-team third division. Despite a plethora of meetings and press conferences within the past year, actual details about how the JBA’s operational arm, the Japan Professional Basketball League, plans to manage the growth of the B. League and commit to building parity and distributing resources among the 45 teams have not provided any real answers. Furthermore, I’ve heard no serious talk about implementing a national draft, requiring all teams to select domestic players this way. “As it is now, the best players go to a handful of teams, Aisin, Toyota, Mitsubishi, then maybe Toshiba,” the source told Hoop Scoop. “The JBL with eight teams, and the NBL with 12 (previously 13) teams never changed that dynamic. So what will prevent an even wider gap in talent now that there will be 18 teams? Most bj-league teams have five to seven Japanese players on their rosters, NBL teams often have nine to 12. 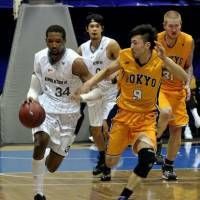 The bj-league teams tried to make up the difference in talent level by having more imports. What’s more, the actual makeup of the B. League has some hoop experts shaking their heads. How many teams will go out of business? I asked. Others hold a less pessimistic viewpoint, saying that the process will, eventually, play itself out, that the B. League will form a new foundation for the sport. Former Shiga Lakestars bench boss Al Westover weighed in with this view from Australia: “I think the new leagues will be good. In effect, Japan has 18 top-tier teams, with a second and third division, as a lot of countries have. With promotion and relegation it will keep things interesting, and teams on their toes to do their best. 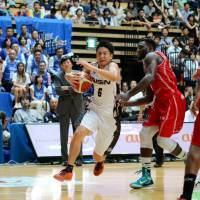 “I think it will help the profile of basketball in Japan, as there is now one top-tier league. I don’t think 45 teams is too many for Japan. It was said in an article that Australia has eight pro teams, and China 20. Well, there are eight teams in the NBL here, but at least another 40 semi-professional/professional teams here, and China has at least another 30 pro teams at a lower level. Thus, the situation in Japan, will be no different than what it is in other countries. Well-known hoop fanatic Wolfy Nishioka, who has followed the Osaka Evessa since the team’s inception and has also kept tabs on the JBL and NBL for years, isn’t ready to rush to judgment about the B. League’s relegation-promotion system that’ll determine some teams’ fate in the future. An avid Iwate Big Bulls supporter named Dean Ruetzler believes Japan pro basketball is at a critical juncture over the next few years — and key decision makers will shape the sport’s future for better or for worse. “Basketball in Japan has the potential to really grow, but it can also get lost in the shuffle,” Ruetzler stated. “If the new league seeks to build a following, publicize it, actively help it grow. They can do it, but if they expect to just have games in arenas, print tickets, and expect the fans to show up in droves, it won’t happen! Indeed, Ruetzler hit on an important point. Key marketing and press-savvy staff must be added to teams’ payrolls and at the league office, and they must develop a workable, coherent strategy to reach out to new fans and convince the media to provide year-round coverage. In the bj-league and its rival league (the JBA-backed JBL, in its various forms over the years, and its successor, the NBL) promotion of the game on a national scale — and in the huge media market of Tokyo — has been one of the underlying causes of fan apathy and an overall lack of general knowledge by the general population about the sport and its stars. Even still, the shuffling of the deck to put all of the aforementioned teams into three divisions will take some time to see what works and what doesn’t in terms of sparking fan interest. Despite a revolving door of players and coaches and league and team personnel, the bj-league has increased opportunities tenfold for people who want to be involved with pro basketball in Japan. Now, this across-the-board growth on a national scale is right there, front and center. So how do the sport’s leaders capitalize on what exists? He’s right. But the B. League must also find a way to get more people to show up to watch the traditional JBL/NBL clubs, including the Aisin SeaHorses, Toyota Alvark and Toshiba Brave Thunders, among others, plus newer clubs like the Chiba Jets and the Link Tochigi Brex, especially when their games are staged in or around Tokyo, where there are 30 million potential customers on any given day. If/when those games can attract 5,000-to-10,000-capacity crowds on a regular basis, basketball will achieve legitimacy and not be viewed as a minor niche sport by the masses here. In the final analysis, a huge responsibility remains for the B. League leaders to figure out a way to develop a workable economic model for the sport and promote the product like never before. The B. League is a starting point, but it won’t mask the fact that the talent will be spread too thin among too many teams. There will be years of growing pains before the new circuit can develop into something special, and that’s only if the right leadership — or luck — ignites the flame that will spark a real hoop revolution here.